Papergirl Istanbul – Open Call! During the 2011 Seychelles Carnival; ‘Carnaval International de Victoria’, we had the opportunity to meet with Mrs. Dionne Warwick; legendary American singer and goodwill Ambassador of the United Nations Food & Agriculture Organization (FAO). 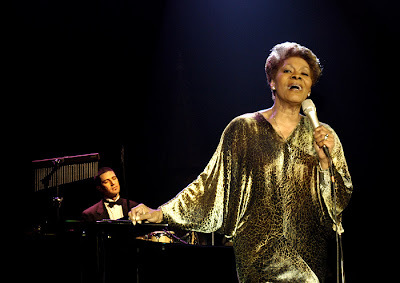 Mrs. Warwick, who came to Istanbul in July 2007 for a concert, said to FTNnews.com that she would like to come to Istanbul again and perform for Turkish audience. Best known for her partnership with Burt Bacharach and Hal David, Warwick ranks among the 40 biggest hit makers of the entire rock era (1955 - 1999), based on the Billboard Hot 100 Pop Singles Charts. According to Billboard Magazine, Warwick ranks second only to Aretha Franklin as the most charted female vocalist with 56 singles making the Billboard Hot 100 between 1962 and 1998.